A commercial cold room is an efficient and reliable storage solution available from J&M Refrigeration. 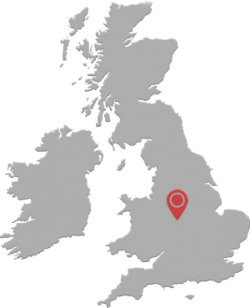 We are cold room suppliers who have more than 30 years of industry expertise to our name. We supply cold rooms to businesses from a multitude of industries, all of whom have reaped the benefit of purchasing one of our commercial cold rooms. As cold room suppliers, we stock walk-in cold rooms from a number of the top industry brands. Because we supply from the best, we know that our commercial cold rooms will provide an exceptional level of energy efficiency a massive advantage for a business of any size. Energy efficiency, compared to that of single commercial cold room, is significantly reduced if you choose to refrigerate your stock in several fridges and freezers. By only having to run one room your bills and energy output will be considerably less than running several refrigeration units at the same time. By having only one way to refrigerate your products, you are also making it easier to maintain should anything need to be serviced or repaired. An advantage of the commercial cold room, also known as a walk-in cold room, is that it can save you a substantial amount of space compared to using multiple fridges and freezers to house your perishable goods. After all, a commercial cold room is exactly that – a room. So rather than having to walk around a lot of fridges and freezers which take up valuable floor space, you would simply enter a room which is designed and designated to the cold storage of the products that you sell. Another benefit of the fact that everything is in one room is that it also makes organising the things you sell a lot easier than if they were all spread across different storage solutions. You can more effectively manage the space you have inside the cold room because you will have room for viewable shelves to organise and store your goods on. This is much easier to work around than having to delve into a packed conventional fridge or freezer looking for a particular item. With a J&M Refrigeration Commercial Cold Room, you can easily adjust the temperature inside your new storage solution. With a huge range of temperatures available you can adjust the temperature inside your walk-in cold room to the exact temperature that your business requires. Our cold rooms are both insulated and fully sealed meaning that they can easily maintain the temperature you have set. Our products are very reliable and can usually be set to any temperature between -30C and 30C allowing you to use them for a variety of purposes such as a dry room or freezer. You can find out more to do with our commercial cold rooms by either completing our contact forms or ‘request a call back’ form or you can get in touch with a member of our team on 0121 544 0555.